It is your responsibility to ensure that at any project site, there is smooth traffic flow. This is because there are many road users who go to different places and the last thing they would want is being inconvenienced in any way. On the other hand, you would not want to be disrupted by frustrated road users who feel like their way has been completely blocked. In that case, you need an effective traffic guide to help you ensure smooth flow and avoid inconveniences. Here are effective things that you can do to achieve smooth traffic flow on a busy project site. If the project is a humongous one, you do not have to overwhelm yourself with other side issues. You can hire professionals who handle traffic flow to curb inconveniences. A good number of companies that offer security services in Montreal can help you when you need any kind of assistance with traffic management. This is because they have highly qualified personnel who can attend to all your needs and ensure your day turns out perfect. Therefore, make that phone call and you will have more time to focus on the task at hand. If you choose to manage traffic flow yourself, you will need a plan. Planning actually involves finding all the relevant road signs as well as devices that will be used to guide road users and describe the nature of your project. Another effective solution is working with part-road closures. For instance, if you are intending to have lane closures, you will have to put to effect a plan that details the positions of relevant signs. In addition, it should indicate the amount of space that you actually require for the signs and equipment needed to complete the project. Road projects can be very daunting and if you fail to plan effectively, you may have a rough a day. By getting part-time road closures and considering road environment changes influenced by peak and off-peak hours, you will be in a position to make the right choices. There are projects that require multi-stages to be achieved. In this case, you need to have effective traffic management solutions for each stage. This goes a long way to make the transition process smooth especially when a particular type of project requires certain specifications. For every traffic control plan, you need to take note of all the key stakeholders involved and ensure a clearer communication that will aid in the management of project activities. Most complex road projects are actually long-term and large-scale in nature. As such, they tend to have a significant impact on the traffic flow of a particular area. In this case, it is more recommendable to work with professionals as mentioned earlier. 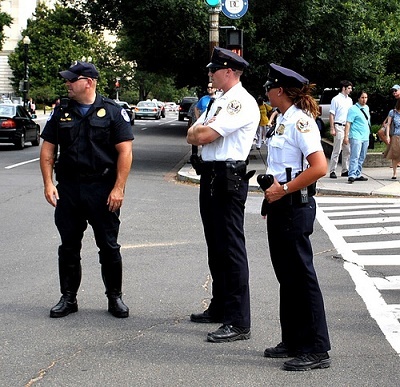 Security companies offer effective solutions and plans for managing and controlling complex traffic cases. In addition, they factor possible changes that may be implemented to ensure great traffic flow. Managing traffic flow in a project site can be really daunting. However, effective planning goes a long way to help you manage your project without causing inconveniences to road users. Although the traffic flow may not be normal, the solutions taken will help ease the congestion that easily results if there is no traffic management plan. Hiring security companies is one of the best choices you can make when handling a road project. This is because they have the expertise and experience needed to make things work for your project.